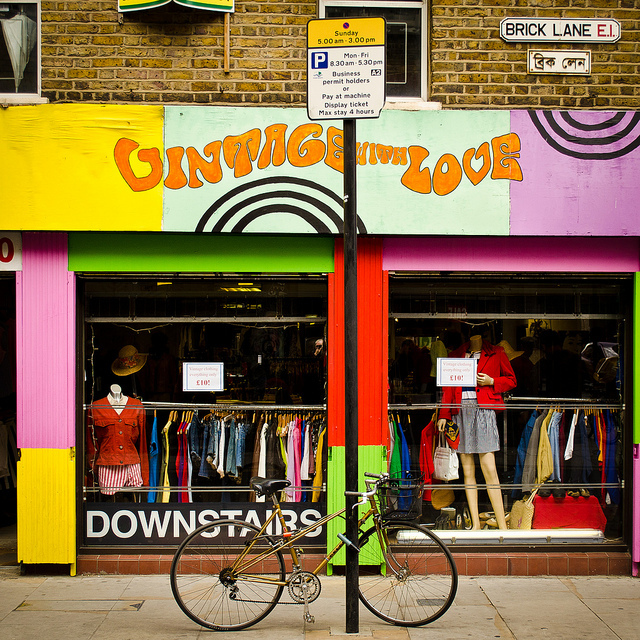 Charity shops and vintage shops are thriving as vintage clothing becomes ever more popular amongst young ‘uns looking to build a unique wardrobe of classic, retro or timeless clothing, but it can be difficult to know where to start if you want to make your first foray into the world of vintage clothing. Here are some tips to help make your vintage shopping experience a success. Be open-minded when you go shopping for vintage clothing. Don’t go with an agenda as vintage shops are unpredictable and you may be disappointed if you go with very specific ideas of what you want. See vintage shops as treasure troves of retro clothing and let yourself be pleasantly surprised by whatever it is you find on your quest for vintage items. It’s best to ignore sizes altogether when you’re shopping for vintage clothing. I say this partly because sizes were different in decades past (if you are an 8 now, a size 12 from the sixties might fit you!) and partly because most vintage shops will only have one of any given item and it may not be in your size. Before you hit the shops, throw a belt in your bag and whenever you try on a dress or blouse, wear the belt if it’s oversized to see if a belted waist makes it look more stylish and suited to your size. Many vintage shops aren’t particularly well lit, which can make it difficult to see any wear and tear on clothing. If possible, hold items up to the light to see where the fabric has worn down and examine the armpits as acid in sweat can do damage to fabric. Although it’s important to remember that some of this clothing is older than you are so a certain amount of wear and tear is to be expected. Shopping for vintage clothing can take more time than shopping on the high street as you usually have to spend more time searching to find the good stuff, but it’s worth it because when you do find a great vintage item, you can be sure you’ll be the only one wearing it whenever you go out. This article was written by fashion blogger Jessie O’Hara who also suggests doing your vintage clothes shopping online.